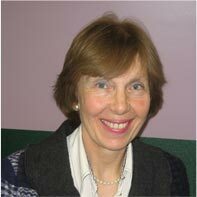 Professor Susan Smith joined the Department of General Practice at RCSI in 2011. She also works as a general practitioner in Inchicore Family Doctors, Dublin. Her main research interests include chronic disease management . She has been the Principal Investigator (PI) on five HRB funded clinical trials of interventions to improve outcomes for patients with chronic conditions. 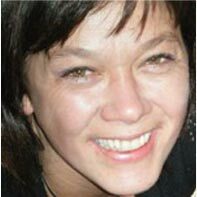 She leads the HRB Centre for Primary Care’s multimorbidity research programme and is also engaged in research on polypharmacy, potentially inappropriate prescribing, computerised decision support systems and clinical prediction rules. Susan currently leads one of the Network trials: SPPiRE. 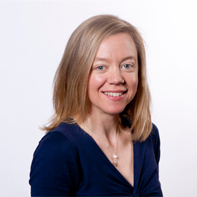 Professor Smith is an active contributor and editor within the Cochrane Collaboration and is on the editorial board of the Acute Respiratory Infections Cochrane Review Group. She is also a co-editor of the Journal of Comorbidity and is on the editorial boards of the journals Family Practice and BMC Family Practice. Dr. Paddy Gillespie is a Lecturer in Economics at the J.E. Cairnes School of Business & Economics. His research activity is focused in the area of Health Economics and in particular the applied techniques of economic evaluation, including trial-based and decision model-based analysis, and econometrics. His work to date has involved the application of such techniques to explore a variety of questions in relation to heart disease, diabetes, dementia, chronic obstructive pulmonary disorder, stroke, obesity, multimorbidity and infectious disease. The output from this work, which has involved collaboration with colleagues across multiple disciplines, has been published in a range of leading national and international peer-reviewed journals. 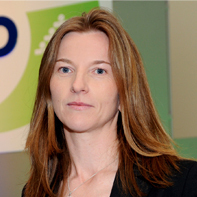 Dr. Claire Collins is the Director of Research & Innovation, Irish College of General Practitioners. With a doctorate in Public Health Medicine & Epidemiology, Claire has over 25 years of experience conducting and teaching qualitative and quantitative research in the academic, statutory and private sectors and has been the ICGP Director of Research since 2004 with the responsibility for the promotion, development and implementation of research and audit in general practice and representing the ICGP on various national and international committees. She is a Fellow of the Royal Academy of Medicine in Ireland and is the Irish representative to the European General Practice Research Network. 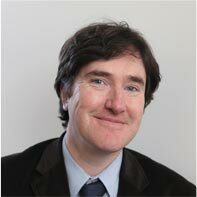 Tom Fahey is the Professor of General Practice, RCSI Medical School. Qualifying initially in UCD in 1986, he trained in general practice and public health in the UK (Oxford) and was a Senior Lecturer (Bristol) and Professor (Dundee) before returning to Dublin in 2006. He is principal investigator for the national programme for primary care research in Ireland, the HRB Centre for Primary Care Research and has an ongoing interest in drug appropriateness, quality and safety. He plans to contribute to the HRB Primary Care CTNI by undertaking RCTs that assess interventions that enhance the appropriateness of prescribing to elderly patients; improve rational antibiotic use in patients with acute infectious illness; and in relation to medicines reconciliation at the primary/secondary care interface. Dr. Akke Vellinga is an epidemiologist. She divides her time between two half-time positions at NUI Galway; a senior lectureship in primary care and a lectureship in bacteriology (epidemiology). Her research topics include antimicrobial resistance epidemiology, antimicrobial treatment in general practice and nursing homes, out of hospital cardiac arrest and gestational diabetes. Currently, Akke leads one of the HRB Primary Care CTNI studies: a randomised clinical trial in general practice to compare antimicrobial with symptomatic treatment for urinary tract infections in females (SATIN study). Professor Declan Devane is Professor of Midwifery at NUI Galway and Director of the Health Research Board-Trial Methodology Research Network (HRB-TMRN). 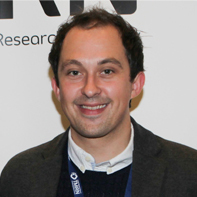 He is an Associate Editor with the Cochrane Pregnancy and Childbirth Group, an Associate Senior Lecturer with the UK Cochrane Centre and an author of numerous Cochrane systematic reviews predominantly in the field of fetal assessment. He has led a number of clinical trials recruiting from 100 to over 3000 participants and serves on a number of Trial Seering Committees and Data Monitoring Boards. He is a past member of the National Clinical Effectiveness Committee and the Midwives Committee of the Nursing and Midwifery Board of Ireland. 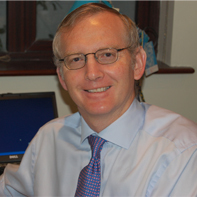 He was a member of the DOH National Maternity Care Strategy Group and HIQA’s Maternity Standards Advisory Group. 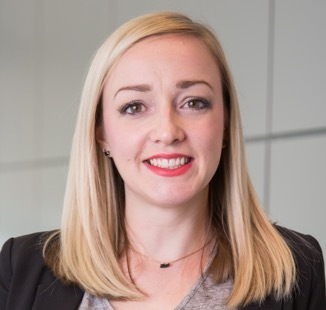 Dr Molly Byrne is a Senior Lecturer in Health Psychology and Health Research Board (HRB) Research Leader (2014-2019) in the School of Psychology at NUI Galway. Molly leads the Health Behaviour Change Research Group (HBCRG), which aims to improve population health by developing and promoting an evidence-based approach to health behaviour change interventions. Molly and her team at the HBCRG are running intervention development, piloting and trial studies in a range of areas including: self-management among young adults with Type 1 Diabetes; attendance at structured education programmes for people with Type 2 Diabetes; delivery of sexual counselling within hospital cardiac rehabilitation; interventions to increase physical activity among overweight pregnant women and interventions to promote healthy infant feeding delivered in primary care. The HBCRG hold monthly seminars and run regular training in behaviour change interventions. See more on the HBCRG web site and read more about Molly’s research. Peter Bower is a Professor of Health Services Research and Lead at the Centre for Primary Care, University of Manchester. His research interests include effective ways of improving management of long term conditions and multimorbidity, especially the combination of physical and mental health problems. He has expertise in evidence synthesis and randomised controlled trials, with a special interest in the endless challenges of recruitment and retention. 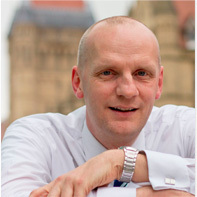 He is part of the North West Hub for Trials Methodology Research, the NIHR School for Primary Care Research, and the Greater Manchester Primary Care Patient Safety Translational Research Centre. He is also Health Services and Delivery Research Clinical Specialty Lead for the NIHR Clinical Research Network. 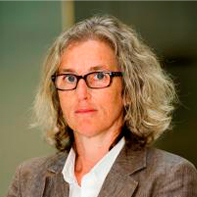 Margaret Cupples is Professor of General Practice at Queen’s University, Belfast, where she is a Principal Investigator in the UKCRC Centre of Excellence for Public Health Research in Northern Ireland (NI). She works clinically as a GP with partners in Woodbrooke Medical Practice in West Belfast and previously was a GP in Markethill, a small rural market town in Co Armagh. Professor Cupples is very aware of the impact of and of people’s social and physical environments on their health. Her personal research interests relate to cardiovascular disease management, with a focus on physical activity in prevention and rehabilitation. She leads the NI Clinical Research Network in Primary Care, which promotes high quality research. As a nucleus member of the European Association of Cardiovascular Prevention and Rehabilitation, she works with international colleagues to increase the evidence base for best practice in prevention and rehabilitation, including the design and implementation of interventions to promote and help sustain healthy lifestyle behaviours. 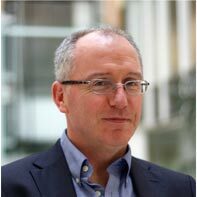 Martin O’Donnell is the Professor of Translational Medicine at NUI Galway and Interim Director of the HRB Clinical Research Facility Galway (HRB CRFG). Graduated from University College Cork, he trained in Geriatric and Stroke medicine in Ireland, McMaster University (Canada) and Stanford University (US). His main areas of research interests are clinical trials in vascular medicine and stroke epidemiology. 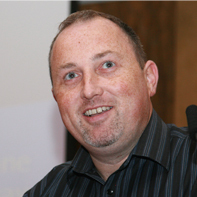 He is Director of the MSc in Clinical Research at NUI Galway, being run in collaboration with McMaster University. He is Principal Investigator of a number of studies including Sodium InTake in Chronic Kidney Disease (STICK) and the Clarifying Optimal Sodium Intake Project (COSIP). Patrick Towers is a public representative on the Network Executive Committee. He has served as the lay representative in research in a number of positions in the past, including the NUI Galway Research Ethics Committee. Patrick contributed to the grant application for the Network and to the development of the Network vision. He has been a key contributor to the development of the Public and Patient Partnership in Research (PPP-R) group of this Network and sits on the PPP-R.
Dr. Nikita Burke is the Development Manager for the HRB Primary Care CTNI. She worked for a decade in basic research, with a focus on the role of the immune system in depression and chronic pain. Nikita completed her PhD in Neuroscience at NUI Galway, during which she was a visiting researcher at the Universidad Complutense Madrid. She carried out postdoctoral research at the Hotchkiss Brain Institute, University of Calgary (Canada), examining the long-term consequences of pain and stress in early life. Nikita brings extensive experience in research, project management and public engagement. 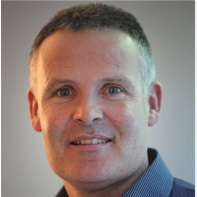 Dr. John Newell is the founder and leader of the first Biostatistics Unit in the network of HRB Clinical Research Facilities in Ireland, based at HRB-Clinical Research Facility Galway (HRB CRFG). He is an affiliated member of the School of Mathematics, Statistics and Applied Mathematics, NUI Galway and an Adjunct Senior Research Fellow in the Department of Mathematics and Statistics, University of Canterbury, Christchurch, New Zealand. Dr. Newell’s primary areas of research in Biostatistics are in the theory and application of statistical methods in clinical trials of health service and population health interventions and in the development of novel analytic approaches in Sports and Exercise Science. 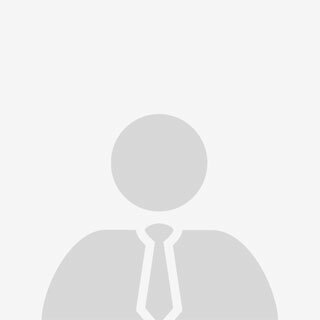 His research interests include statistical modelling, statistical computing, design and analysis of cluster randomised trials, smoothing techniques and derivative estimation, survival analysis, tree based classification problems and sports analytics.